We are all accountable for achieving a cleaner Chesapeake Bay. The Oyster Recovery Partnership has a strong history of serving a pivotal role in restoring oysters and working toward a healthier Chesapeake Bay. The Oyster Recovery Partnership assists in designing and implementing oyster restoration projects that maximize ecosystem services that oysters can provide. ORP’s mission is to increase the number of oysters in the Chesapeake Bay, and over the years, this has been accomplished by planting oysters in sanctuaries, managed reserves, and public fishing grounds. ORP has an impressive history of restoration; since 1998, 6.7 billion oysters have been planted on over 2,200 acres of oyster habitat in Maryland waters. During that time, refinements to the oyster restoration process allowed ORP and its partners to redefine success from fewer than ten acres of oyster plantings annually in our early years, to the hundreds of acres planted currently. ORP is now assisting with the one of the largest oyster reef restoration projects to occur worldwide in tributaries on the eastern shore of Maryland. The ORP relies on its many partners to assist in restoring oysters to the Chesapeake Bay. Some of the many Bay-minded partners who have supported our mission include everyone from the likes of the University of Maryland and NOAA on the “restoration” side to to Finlandia Vodka and Flying Dog Brewery on the “eco-minded” corporation side. The restoration process is complex and could not be carried out without the partners, who work with ORP to supply oyster larvae, identify areas that will sustain successful reefs, and monitor reefs after construction. 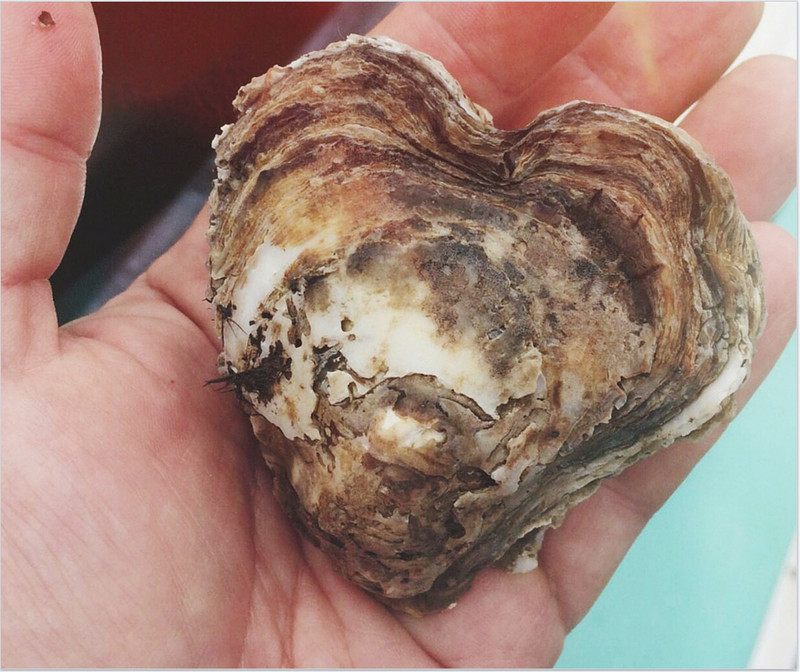 In addition to our “Restoration Partners” and “eco-minded” corporations, there are several other nonprofits to research and promote oyster recovery efforts and Bay health issues. Moreover, without the continued financial support and interest of the Maryland Congressional delegation and State leadership, our recovery efforts and successes would not be possible. For a complete list log on to oysterrecovery.org. Natural oyster shell is the best material on which to raise new oysters and restore oyster reefs. Scientists know that now, but for generations used oyster shells were used to build roads, driveways and housing construction. Some ended up in landfills. The Oyster Recovery Partnership developed the Shell Recycling Alliance (SRA) to save this extremely limited natural resource. Every half shell collected by the SRA creates a new home for approximately 10 baby oysters. When the program launched in 2010, 22 restaurants signed on as members. Six years later, the SRA is now 300 members strong, and the largest shell recycling network in the country. In 2015, 26,005 bushels of oyster shell was collected from establishments in Maryland, Virginia, Washington, D.C. and Pennsylvania. The shell that was collected in 2015 will enable ORP to plant over 100 million oysters on oyster reefs in the coming years. Since its launch, the SRA has recycled 90,000 bushels of shell, enabling ORP to plant 450 million oysters in the Chesapeake Bay. In addition to restaurants and businesses, the SRA collects used shell from public drop sites in 11 counties. Individuals can also help the cause just by eating oysters! By eating oysters you are supporting the fisherman and farms that are sustainably growing most of the oysters consumed. Don’t just toss those shells either. Go to www.shellrecycling.org to find where to recycle. If you want to be part of building an oyster reef, a small donation to the ORP of $10 helps plant 1,000 oysters! Please call 410-990-4970 or visit www.oysterrecovery.org if you would like to become a supporter of ORP or learn more about our various support levels.